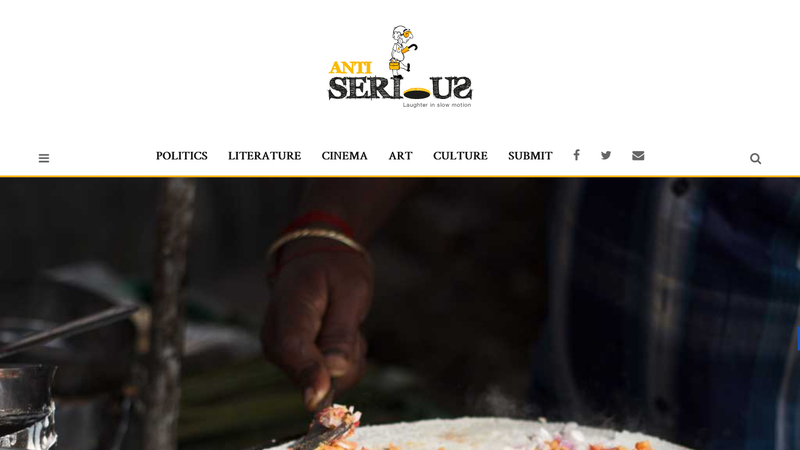 Sathya Ramaganapathy‘s “If it’s Dinner, it Must be Dosa” appears in Antiserious, “a journal for laughter in slow motion”. She: Amma, what are we having for dinner? Me (in my best American drawl): Mildly spiced pancakes made from coarsely ground garbanzo beans, pigeon peas and rice. Served with a topping of lightly sautéed shallots and greens. And a huge dollop of butter just for you! For the uninitiated, that’s adai dosa. Please log in to view comments. If you are not a subscriber, please register here to post comments. Registration is free.